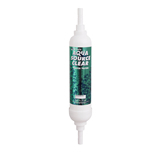 AquaSource Clear Water Filter - For That Refreshing Taste. In line (under sink) filter Removes unpleasant tastes and smells from water. 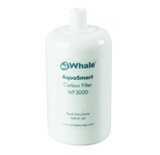 AquaSmart Water Filter - Removes unpleasant tastes and smells from water. For use with Aquasource on board pump kit system - replace twice a season for 6000 ltrs of fresh tasting water.